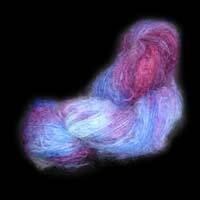 These are examples of the type of novelty yarns although each one is unique in color, the yarns contain, silk thread, bombyx silk, and silk and merino, or mohair boucle, these yarns are hand dyed and thrice spun . 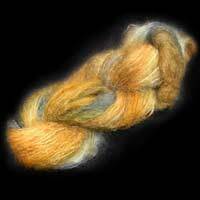 This fibre is the most textured of the yarns. 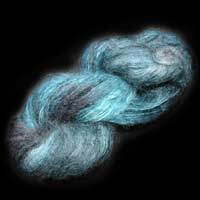 "This yarn has been sprinkle dyed with light and wash fast dyes and is extremely soft and warm with a very light quality and a fuzzy texture. 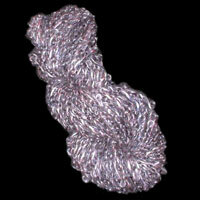 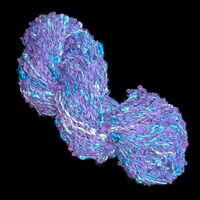 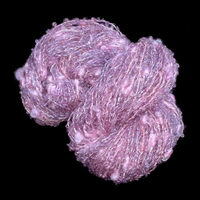 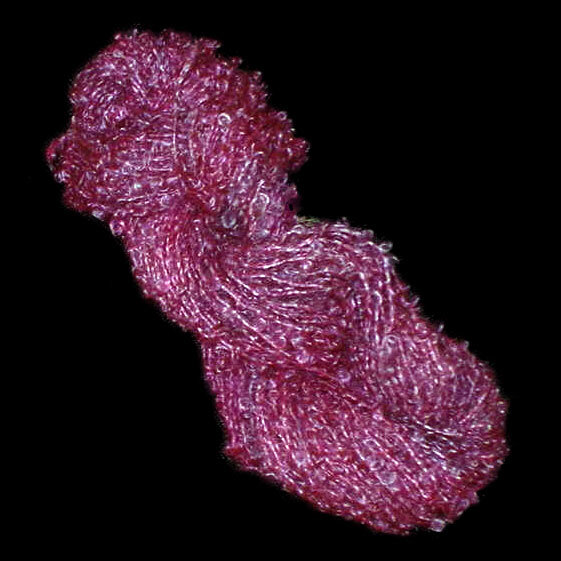 This yarn is a large or small loop boucle with a lovely sheen. 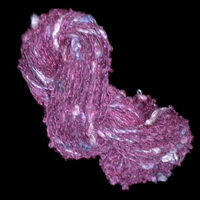 The yarn has been sprinkle dyed and is soft and warm. 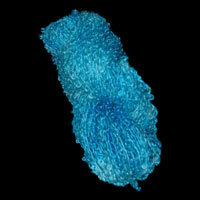 The loops make it very unusual and add to the overall texture.